Set of six Mititoyo micrometers in excellent condition. I am the original owner. They are high quality Japanese measuring tools, and have been examined by a qualified QC inspector. 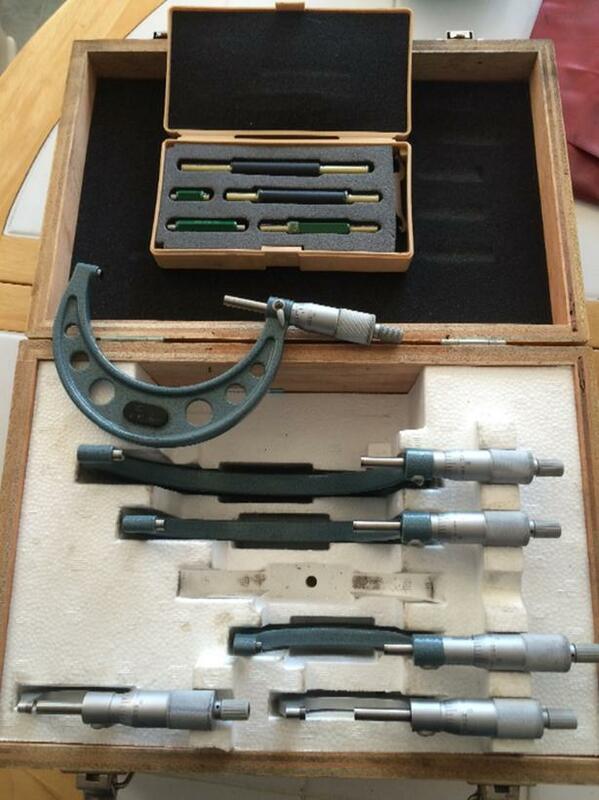 Set includes case, standards and calibration wrench.